INDUSTRY.co.id - Jakarta - Spokesperson for Judicial Commission (KY) Farid Wajdi said that KY had never received a report related to judge Merry Purba (MP) since he was appointed as an ad hoc judge of Corruption (Tipikor) in Medan District Court. Meanwhile, three other Merry colleagues who were also secured by the KPK in an arrest in Medan District Court on Tuesday (8/28), were reported several times to KY.
"As a note, Medan PN Chief Marsudin Nainggolan has been reported to the KY six times, three times as an assembly and three personal reports," said Farid. Meanwhile, Deputy Chairperson of Medan District Court, Wahyu Prasetyo Wibowo, has been reported to the KY four times with details of three times as a panel and one personal report including a request for monitoring the trial. Meanwhile Medan District Court judge Sontan M. Sinaga was once reported as an assembly. "Indeed there have been no reports regarding the MP, maybe because the person in question is also relatively new," Farid said. 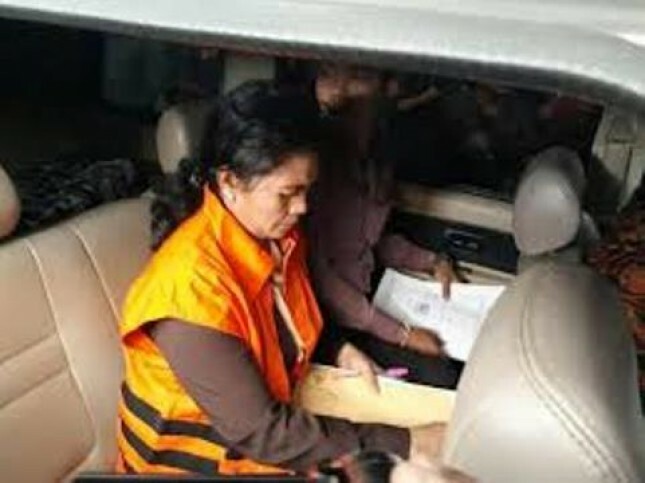 On Tuesday (28/8) the KPK carried out three arrests of three Medan District Court judges and two substitute clerks, namely; Wahyu Prasetyo Wibowo, Merry Purba, and Sontan M. Sinaga. While the two substitute clerks secured were Oloan Sirait and Elpandi. In the OTT Marsudin as the Chairperson of Medan District Court was also taken to the Medan High Prosecutor's Office for questioning. But Marsudin and Wahyu were released by the KPK because there was not enough evidence to make them both suspects. Meanwhile, Merry, Sontan, Oloan and Elpandi were declared by the KPK as suspects for bribery in the Medan District Court.